We have been told today by Truro School that they have double booked us for the Sir Ben Ainslie Sports Hall and so cannot accommodate us on Saturday, which is very disappointing. Thankfully, Carn Brea Leisure Centre, in Pool, TR15 3QS http://www.carnbrealeisurecentre.co.uk/ have come to the rescue, and we will be going there to the 8 court hall (with a café!) on Saturday instead. Many apologies for this, but it was out of our hands - and we will still have a great tournament! 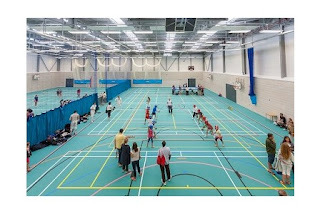 Sir Ben Ainslie Sports Hall, Truro School. Who is the workshop for? Anyone who is interested in U11 badminton (Coaches, Teachers, Helpers etc). What to expect: 2 Hour workshop session on FUNdamentals, a look at U11 Badminton coaching resources, Primary School Games Badminton, a practical workshop looking at all aspects of a U11 Badminton session, information on Cornwall Youth Badminton for U11s, advice and help on setting up under 11 badminton clubs and much more. 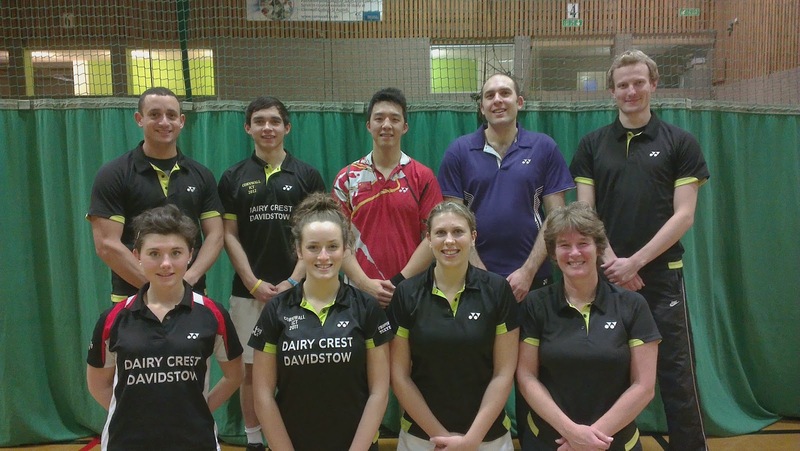 A wet and windy day outside saw Cornwall’s top badminton players start their season with a fine win over the travelling Avon team, at Polkyth Leisure Centre at the weekend. It was advantage Cornwall right from the start, as Avon came with only two ladies, giving the home team a 3-0 boost before a shuttle was hit. 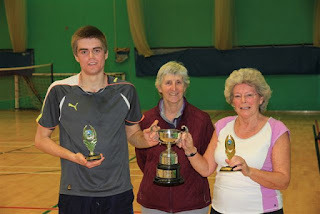 But the Cornish single players didn’t need any extra help as all 4 stormed to victories in impressive style, with new County champions Shane Maton and Rose Willis seeing off their opponents, quickly followed by James Whetter and Jo Philp with equal power and precision. The Avon doubles teams set about fighting back, and the solo ladies pair were victorious against both of our women’s pairs, although Jo and Rose were desperately unlucky to lose their game after 3 exciting ends, and a final questionable line call. Emily James and Vicki Thomas came up against a determined pair who gave no quarter in 2 ends. 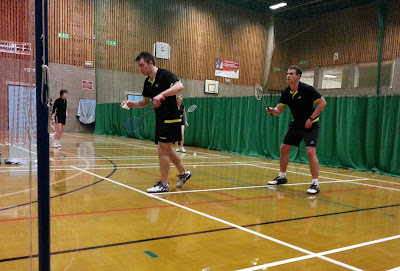 The mens results were split down the middle, both teams winning 2 games, with only one going the full distance, when James and Guy Michell, the experienced duo just losing out in a close fought battle. The newer pairing of Shane and Ross Lashbrook had looked good against the top Avon men, but struggled more against the second pair. So the match was already won going into the mixed, but at least another game was needed for maximum points, and James and Jo duly obliged, but not before a slight scare in the second end at 12-18 down, before finally seeing off the Avon opponents 22-20. Shane and Vicki followed this up with the last victory of the day, going to 3 ends but winning in fine style in the third as they outran and outsmashed the tiring Avon pair. 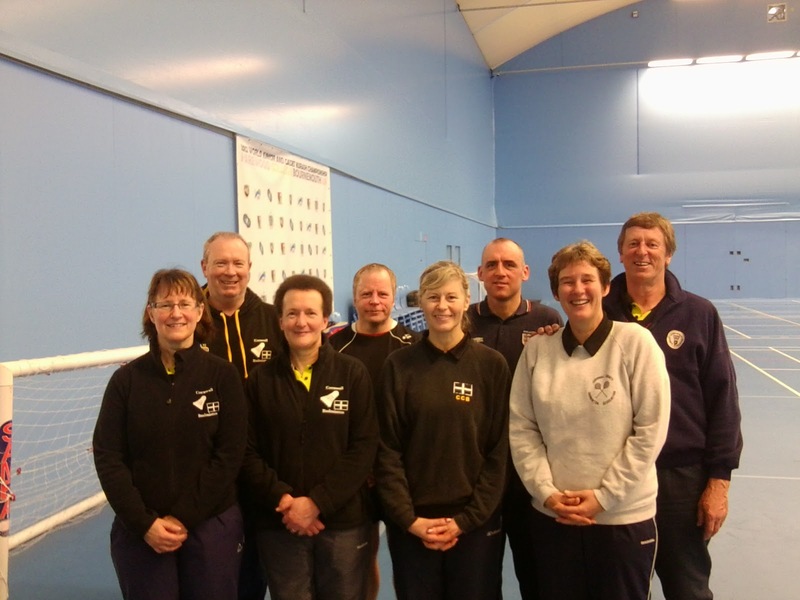 Shane Maton, James Whetter, Guy Michell, Ross Lashbrook, Rose Willis, Jo Philp, Emily James, Vicki Thomas. 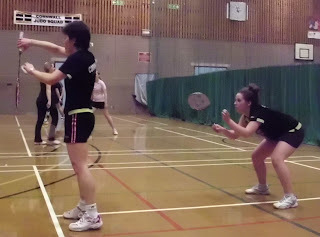 The cream of Cornwall’s badminton players converged on Polkyth Leisure Centre on 28th/29th September for the two day annual Championships, entertaining the many spectators with exciting play and high standards. 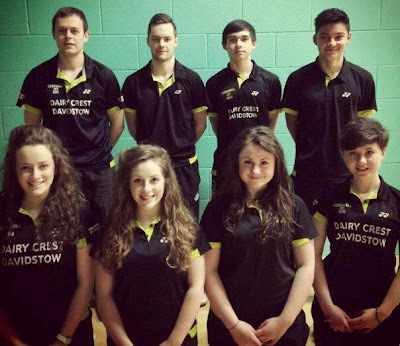 Once again, there was a large entry from Cornwall Youth Badminton’s fast improving young players, showing the excellent foundation that Cornish Badminton is built upon. Two new singles champions emerged victorious on the first day, Shane Maton and Rose Willis, both coming from under the shadows of the number 1 seeds and holding champions, James Whetter and Jo Philp. Rose had narrowly lost to Jo last year, but finally triumphed for the first time and took a deserved victory over Hester Luke in the final with her consistent and steady play. Jo had been beaten in a tight game in the quarter finals by 15 year old Kellen Moore in the first shock of the day, after Kellen had narrowly beaten Emily James in the first round. Kellen then came up against Hester in the semis, and this turned out to be a 3 ender too far, with Hester’s power and precision proving too much for the younger player. Then the second surprise of the weekend came in the mens singles, when defending champion, the experienced James Whetter was knocked out by the speedy, skilful Kris Jasper in the semi finals. The top 4 seeds had made it comfortably through to the semis, with Ross Lashbrook losing to Shane Maton in the other half of the draw. The battle of the left handers in the final saw Shane’s fitness and speed around the court triumph over Kris in two ends, and he re-gained the title he had won 2 years ago. The ladies doubles was played on the first day following the singles, and this was another exhibition of cool, mature play from the promising young pair of Kellen Moore and Amy Polglaze, who reached the final by knocking out the number 2 seeds, Emily James and Vicki Thomas. But they were no match for the strength and determination of Jo Philp and Rose Willis who retained their title with style in the final. The second day saw more great badminton, this time with the men’s doubles and the mixed, when the tension and excitement was notched up again. 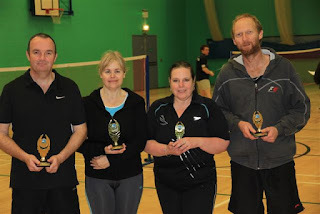 The biggest crowd ever seen for a mixed doubles match was treated to the best final of the weekend, when first and second seeds James Whetter/Jo Philp and Shane Maton/Vicki Thomas clashed in 3 close fought ends. Some stunning net play by Jo and unplayable service returning from Shane had the crowd gasping and enthralled, before James and Jo finally retained their crown. Before this, both semi-finals had been tight affairs over 3 ends which could have gone either way, as new pairings of Guy Michell/Emily James and Tom Lyle/Rose Willis pushed the top seeds all the way before just losing out. With the final event the men’s doubles competition, the spectators were once again treated to some fast, attacking badminton and great defensive play on show. Once more, the top 2 seeds were largely untroubled on their route through to the final, which saw James and Guy take on Tom and Ross in a repeat of the previous year’s final. This year James and Guy proved too strong for the younger pair, and they won in 2 ends with a combination of sheer power and deft cross court play. 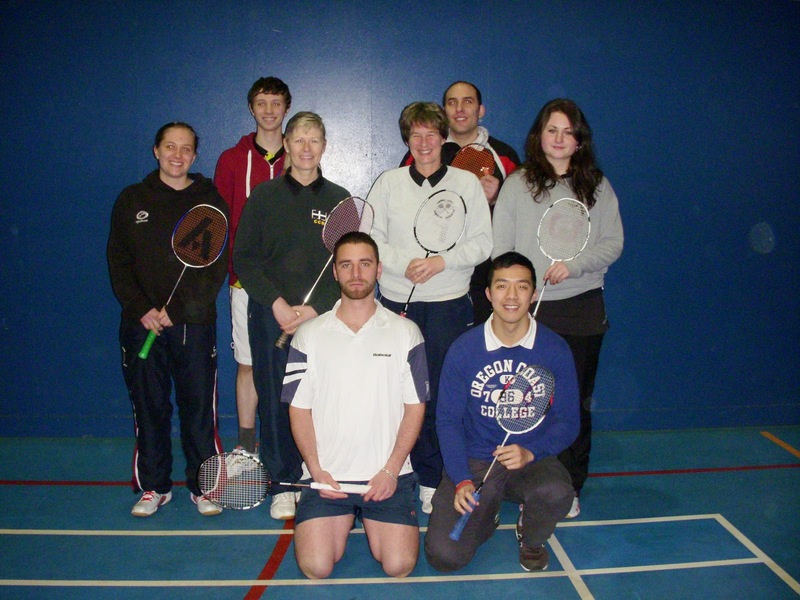 The 2013 West Cornwall Badminton Bonanza Tournament will be held on 23rd November, from 9am – 5:30pm. The event is taking place at the brand new 8 court sports hall, at Truro School. The Bonanza is designed to be an easy and fun way to play new people, and an opportunity for players who perhaps haven't picked up a racket for some time to get back into the game. Separate Social and League Categories mean that all standards are catered for, with Senior county level players not being eligible to play. The 24th March saw the Cornwall 2nd team make the mammoth journey to Sandown for the much anticipated season’s finale against the Isle of Wight. After some intense calculations from our boys on the ferry, we knew we were a point clear of Devon, and that taking the full 3 points against the Isle of Wight would guarantee league victory and a long-awaited promotion. Having beaten the Island team 11-4 at home, our hopes were running high. It was a promising start with Emily James, Daphne Luke and Seb Emery all wining their singles convincingly and Dave Harrington narrowly losing out to a strong singles specialist from the home team. Our momentum continued to build as Jan Santillo and Lynda Beer quickly disposed of both Isle of Wight pairings with some clinical ladies doubles. Emily and Daphne followed suit, securing victory in their first doubles match but losing out in two ends to the Isle of Wight’s first pairing. At 6-2 up, the 3 points looked well within our grasp. However, disaster stuck, as Seb sustained a severe knee injury whilst playing his mens doubles with Dave Harrington in their first game, and had to hop off court. The injury meant he was unable to play his other disciplines. Despite an impressive debut for Chris Cooper in two well fought three-end thrillers with partner Kahoo Tse, the Isle of Wight racked up four wins in the men’s doubles to draw the match even again at 6 rubbers a piece. A strong performance in the mixed doubles from Kahoo and Lynda inched Cornwall ahead but once again the Isle of Wight hit back, this time against the scratch pairing of Jan and Chris. Emily and Dave clinched the fixture with a tense three ender against the Isle of Wight second pair, with Cornwall gaining an 8/7 victory, and thus 2 points. Now all we could do was to agonisingly wait for the results from Devon’s match (who were playing Wilts) to see whether 2 points would be enough to gain League victory. With utter disappointment, we discovered that Devon had done enough to overtake us by winning 15-0 and attaining all 3 points, and Cornwall was yet again thwarted from gaining promotion in the dying moments of the Season. With the league winner and promotion being decided on a point count-back, this goes to highlight that every match in the season counts. After three years of missing out on promotion, and by such a fractional margin, Cornwall II will be fighting harder than ever before next season to finally escape the clutches of Division 6. 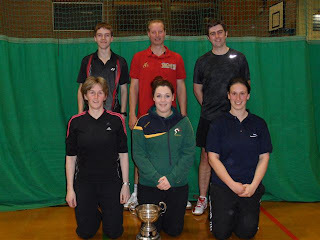 The prestigious U21 Inter County Challenge (ICC) took place this weekend and saw 20 counties from the length and breadth of the country compete and perform some top quality badminton. 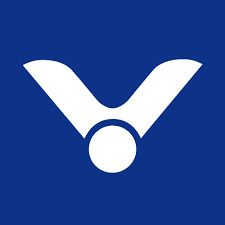 The teams were split into 4 groups of 5. The group phase took place on Saturday and the play off stage on Sunday. Cornwall was unfortunately in a very strong group and anticipated some challenging matches ahead. We started our campaign at 9.30am with a tough match against an experienced Worcestershire team. Launceston’s Kris Jasper won a superb opening singles match, but Worcester who went onto win the group proved too strong and took the 5–1 win. Our next group match v the home side Essex saw Kris perform some fantastic badminton to overcome an impressive opponent and get the match off to another excellent start. Our doubles pairings of Ross Lashbrook & Sam Spencer, Bronwen Wotton & Daphne Luke all fought hard but found the opposition too tough, as did Hester Luke representing us in the Women’s Singles event. Going into the mixed we were 3-1 down. Our experienced pairing of Ross Lashbrook & Bronwen Wotton won a tough three ender with our second mixed pairing: Christian Jasper & Bethany Wotton losing after a brave fight, giving a final result of 4-2 in Essex’s favour. Group match 3 v Lancashire, who were another impressive side, saw a disappointing 6 – 0 loss for our team. The score did not reflect the energy and effort of our players who as always gave everything they had. 4 of the matches could have gone our way, but the Lancashire team held their nerve and proved the better side on the day. Our last match on the first day of the group stage was against Cambridgeshire, a team we lost to closely in last year’s ICC, and a match that held great promise of a win. Kris once again produced some magic to secure a fine straight set win in the men’s singles. Our men’s doubles pairing of Ross & Sam made short shrift of their opponents with a spirited performance taking the match to a cliff hanging 2 - 2 going into the mixed doubles. Bronwen & Ross proved too strong and won comfortably. After much nail biting Kris Jasper & Bethany overcame their opponents in a marathon 3 ender, which clinched the match 6-4. This placed us in 4th position in our group going into the playoff stage of the competition to be held on the second day. Our first match on Sunday was against Derbyshire and the fixture started well with Kris and Hester both winning tough 3 enders, which gave us a 2 -0 lead after the singles. Ross and Bronwen again showed their experience with another impressive mixed victory. Unfortunately, we lost 2 very close 3 enders in the men’s doubles and 2nd mixed doubles and with our women’s doubles also losing we were left with a tied 3-3 match. With both sides also level in ends it came down to points: three points that were in Derbyshire’s favour, therefore they took the win. This was the closest match of the whole event! So close and such a shame it didn’t go our way and was a strong reminder that every point counts! This left us playing off for 15th or 16th position in our final match of the competition against Surrey. Our players quickly shook off the disappointment of losing the last match so closely and went about their task of securing a win with great conviction. Hester, full of confidence following her earlier win played a tough opponent and was able to prove her mental strength and skill by winning in 2 very close ends. Kris took his match with another superb display of great racket skills and dynamic movement, giving him a total of 6 wins out of 7 matches, and made him our best performer of the weekend! Both our doubles pairings: Ross & Sam and Bronwen & Daphne were able to close out tough 3 enders with gritty performances. 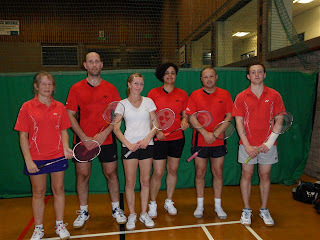 Bronwen & Ross took their 4th mixed win out of 6 matches with ease. Christian and Beth were unlucky in the final match going down closely in 3 ends. The final score was an excellent 5 – 1 win, which confirmed our overall position of 15th. This is our highest ICC placing and a great platform to build on in the years ahead. Camelford Badminton Club retained the West Briton Cup last Friday 22nd March 2013, at Polkyth Leisure Centre after a closely encountered match, against Mounts Bay Badminton Club, who had beaten St. Austell Bay in the semi-final with Camelford having beaten CYB to reach this closely contested final. 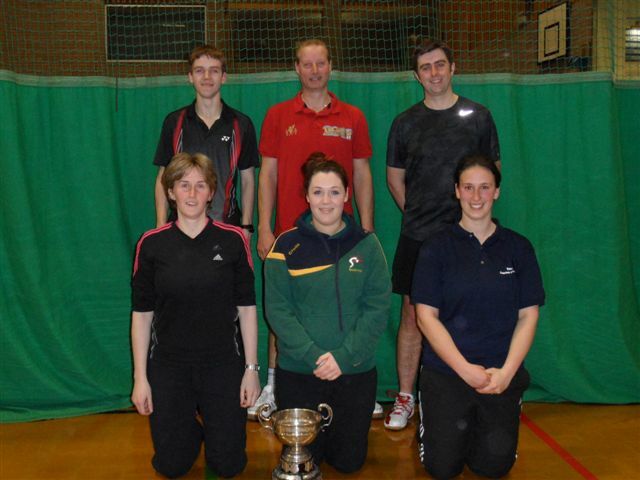 Camelford – Jo Philp; Rachel Stacey; Claire Walkey; Rob Cook; Rob Heckbert; Tony Marshall. 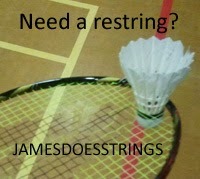 were all set, and for the few spectators that attended, put on a display of excellent badminton. The Mounts Bay ladies won their 3 disciplines with excellent play, but the Camelford Men set their stall out early and a victory for the two Rob’s was the start of a winning pattern and whilst the Mounts Bay men put up a resilient fight taking the 3rd match to three ends, Camelford edged to a Men’s victory. So with the score at 3 – 3 it was all down to the Mixed. Claire Walkey & Tony Marshall at 3rd Mixed were the first victory, winning in 2 ends (21/16; 21/18). 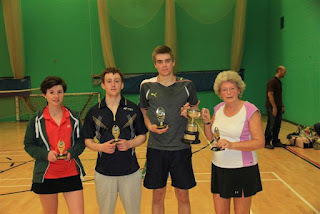 This was closely followed by Jo Philp & Rob Cook beating Vicky Thomas & Lee Chapple (21/12; 21/13). 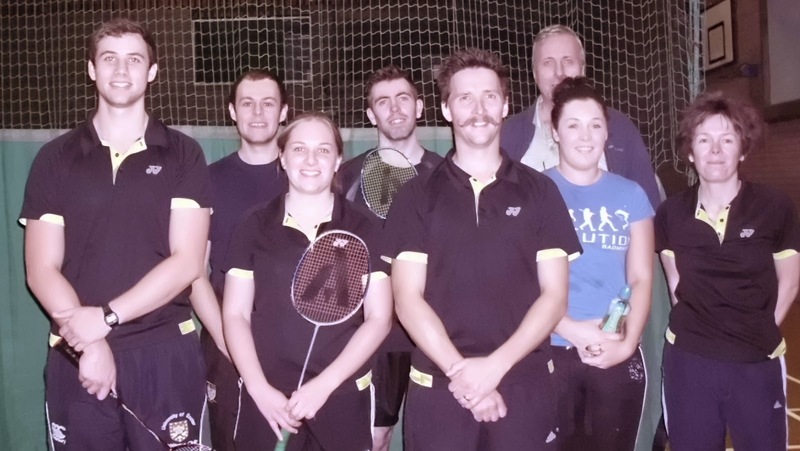 With the match sealed, Mounts Bay took the last rubber with Vicky O’Connell & Trev Searle beating Rachel Stacey & Rob Heckbert (22/20; 21/13), which resulted in a 5 – 4 victory to Camelford. Congratulations to both Teams, on a well played match, played in the great spirit of the game we all love.